Riad Lune et Soleil is situated on the edge of the medina, inside the city walls. This is an ideal location for exploring the medina on foot and also for taking a taxi to the Ville Nouvelle (new city). Classed as a UNESCO World Heritage Site, the medina of Fez is one of the largest and best-preserved ancient cities of the Arab world. Here you will not only find exceptional architectural, archaeological and urban heritage, but also a way of life, of knowledge and of culture that endures, whatever modern evolution is all around. Founded in the 9th century and home to one of the oldest universities in the world, Fez was in its heyday in the 13th and 14th centuries during the Merinid dynasty. The urban fabric and the essential monuments of the medina were built at this time: medersas (theological colleges), fondouks (caravanserais), palaces and homes, mosques and fountains. Despite the transfer of the capital to Rabat in 1912, Fez has retained its reputation as the cultural, artisanal and spiritual capital of the Morocco. As a rough guide, Dh100 = 10 Euros. Click here to see the exchange rate. Picnic available at extra cost. Founded in 789, Fez has a remarkable cultural heritage. The ancient capital of the kingdom, its centre harbours one of the oldest medinas – and the largest – in Africa. 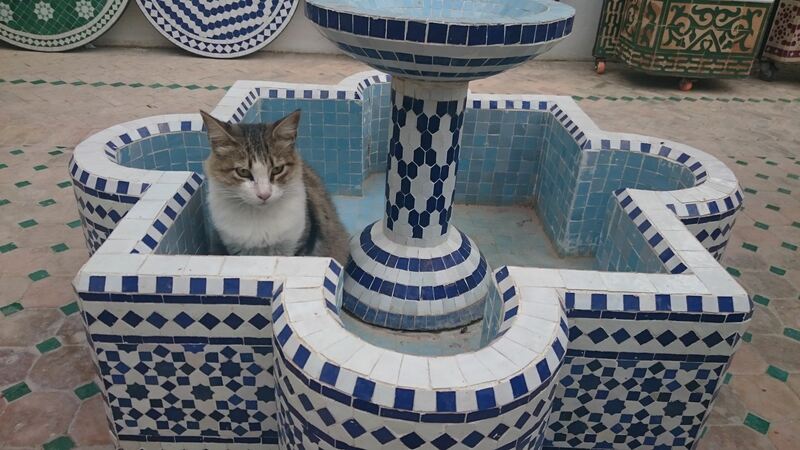 Renowned for its quality, Fez pottery covers a wide range from tableware to mosaic tiles (zellij) that are used on walls and floors. 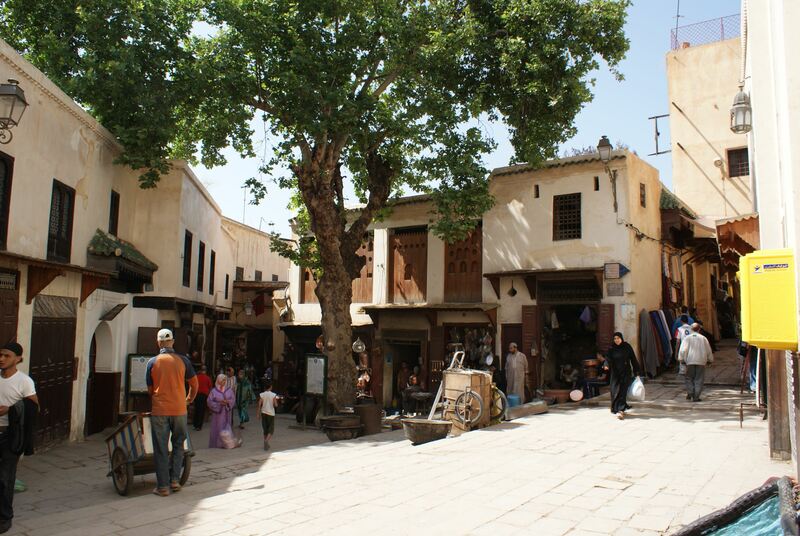 Three historic, traditional tanneries sit along the river in Fez. The authenticity of the artisanal work and the quality of its products will surprise you. 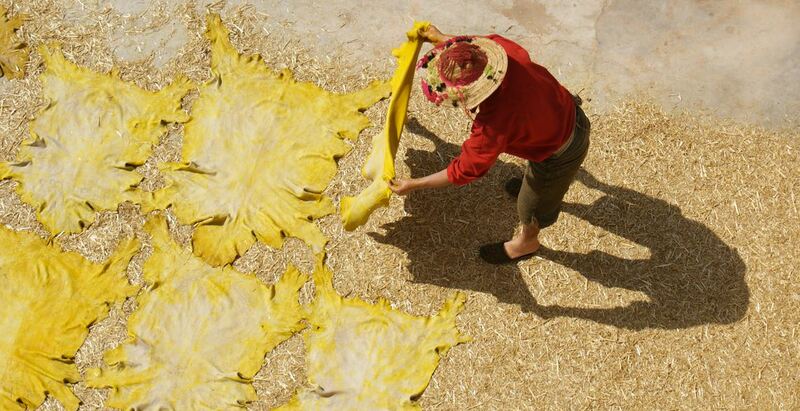 Each tannery organises guided visits and sell their products. The ancestral knowledge of working with wood is perpetuated by the carpenters. The artisans use cedar wood from the Middle Atlas to make valuable pieces, and its perfume pervades the workshops and woodworking areas. 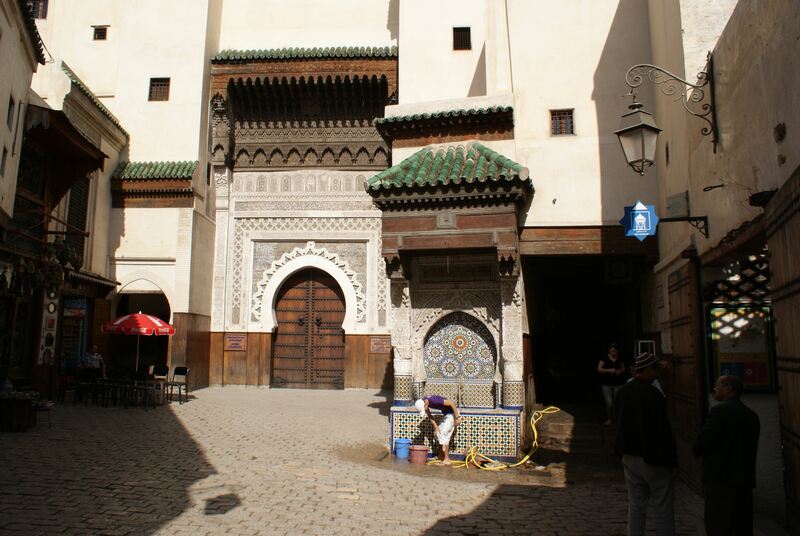 There are numerous perfume shops around the Karaouine mosque in the middle of the medina. Prices are very reasonable. 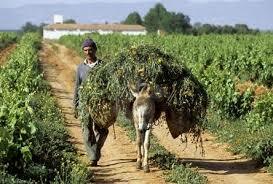 Traditionally, the inhabitants of Fez use them for family festivals. You will find weavers and their shops in the medina. Fabrics are made in situ. Simple or embroidered, there is a wide choice of materials and styles. A wide variety of jewellery is available in the shops. Metalwork includes working with copper, bronze, brass and nickel silver. Various techniques such as chiselling, hammering and piercing are used. The Fes Festival of World Sacred Music has been held in the city since 1994 in May or June. It is a unique event showcasing artists from all over the world. Café Clock 5 minutes’ walk from the Riad. Chez Youssef : Youssef’s shop is just 10m from the riad. His taste in original, authentic objects makes this a very special place. He is an artist and collector and will welcome you with kindness and a smile. Down a tiny street just 200m from the riad, Hassan’s workshop is full of the smell of cedar wood. He is an outstanding carpenters and produces true works of art with great delicacy. Photographer Eberhard Hahne has shared his passion for Fes for more than 30 years. He has published a magnificent book. Publishing house ACR has produced many works on Morocco, including Fès, la ville essentielle. Discover the subtleties of oriental dance with Aïcha: Dh250 per hour. Artist Jess Stephens has lived in Sefrou for some years, a charming small town just 30km from Fez (see Excursions). Here she organises visits, encounters and workshops between artists and artisans, both local and foreign. 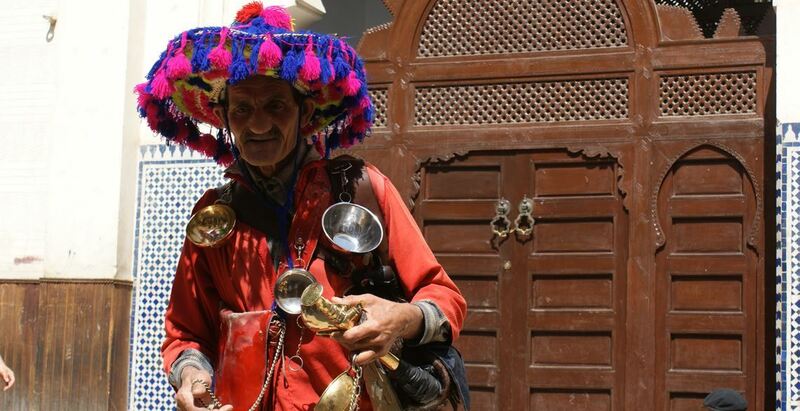 Cécile has lived in Fez for more than ten years and promotes the quality of local crafts. See her Facebook page. Brahim Zeghari: Look out for this young, talented Moroccan on his Facebook page, too. Cooking: We organise cooking courses on demand. 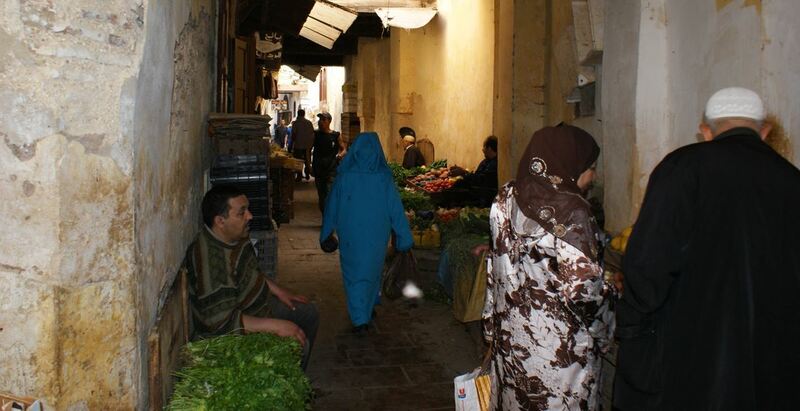 At the end of the morning, visit the souk with Hayat and then plan your menu around what is in season. On return to the riad, cook with our team and enjoy your efforts for dinner. Tariff: 40 Euros per person (20 Euros for the food, and 20 Euros for the cook). Henna : We offer henna applications on demand at the riad. The cost depends on the design you choose (between 10 and 40 Euros). Hammam & Spa : We can make reservations for you for massage and other treatments in traditional medina hammams or at spas in the new city. Trekking : Fes Rando organises treks around Fez. Wine tasting : Visit domaine de Zouina for wine-tasting (reservation essential).